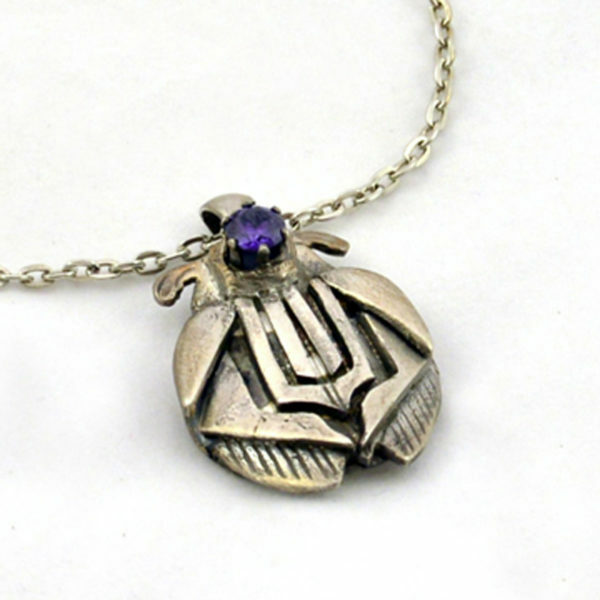 Art Deco Silver Bug Pendant focuses on a cz amethyst for drama. This handmade silver bug necklace brings the beauty of nature to your wardrobe. The Art Deco period focuses on graphics and linear design. 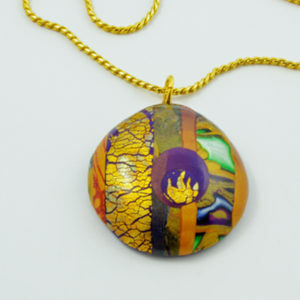 This silver pendant picks up on that theme. 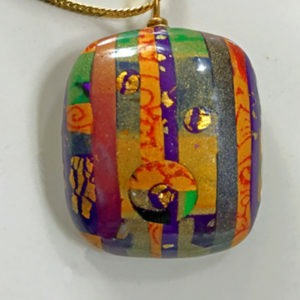 This Art Deco Silver Bug Pendant, handmade of silver metal clay, fires in a kiln at high temperature. 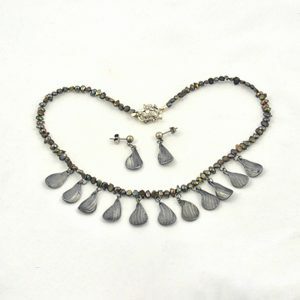 The silver particles bond to make solid 99% fine silver. 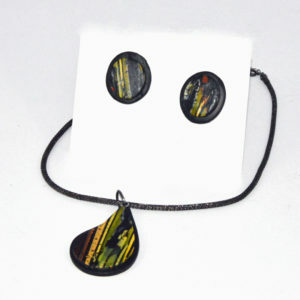 Throughout history artists use nature as inspiration for jewelry. The Art Deco period, known for the stylized insect forms becomes the inspiration for this silver pendant. King Tut’s tomb opening as well as motifs from China, India and Japan influence the design of this period and adds to the flavor of the period. One never tires of the clean linear lines, the geometry and the graphic quality of the designs.